Mount Eolus is a Colorado 14er within the Weminuche Wilderness in the Needle Mountains, a subrange of the San Juan Mountains. Mount Eolus is one of 3 fourteeners in the Needle Mountains; the others are Sunlight Peak and Windom Peak. 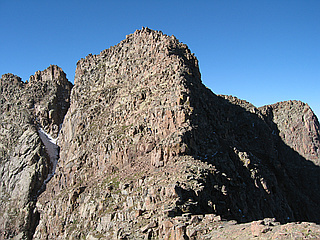 All 3 peaks are located around the cirque known as Upper Chicago Basin. Eolus lies west of the upper basin, while the other peaks lie on the east side. Among the most remote of the fourteeners and has a strong wilderness character. Windom Peak is only 1 foot lower than Mount Eolus. 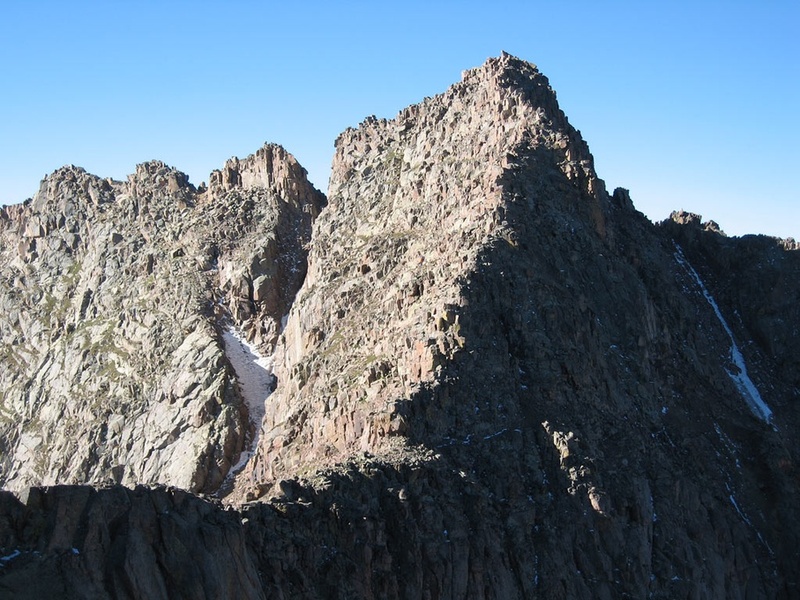 North Eolus (14,039 ft) is a northern subpeak of Mount Eolus, which is not usually counted as an official fourteener, since it has a topographic prominence of less than 300 feet. However it is sometimes climbed in conjunction with Eolus. A popular way to access Chicago Basin is the Durango & Silverton Narrow Gauge Railroad. It will drop off/pick up hikers at the trailhead far from any road.